A group of urban explorers decide to go into the catacombs beneath Paris. 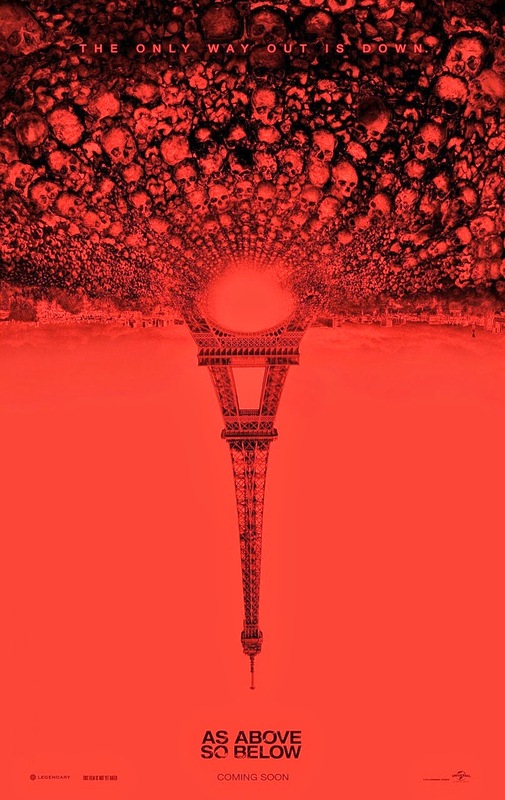 Meant to be a short, fun exploration of macabre history of France they discover instead a door way from city of the dead, into a maze of the damned. Have you seen the Decent? Well, you should. They use a number of the same plot progression points in As Above, So Below. The basic plot is above. They go into the catacombs. What’s going on is they find a door that says ” Abandon Hope All Ye Who Enter Here” and they step into hell… or do they? From what I’ve seen you can’t tell if they are actually in hell or if they are imagining it. Then they go further and further into the ground. Each person is haunted by something from their past and they have to try to survive to get back to the surface. The movie is curious. I’m willing to give it a try but I have to wait until it’s out of the theater because my claustrophobia PTSD was triggered just watching the trailer. I love exploring but that whole squeezing through tight holes in the earth… yeah. I’ll skip that. The director is respectable but still pretty new. John Erick Dowdle is responsible for the movie Quarantine but nothing else of note. The main character is played by Perdita Weeks who is a fairly well-known British actress. She’s been in Mid Summer Murders, a series my parents gush over. The male lead is Ben Feldman who has a pretty long list of credits. He played Travis in Cloverfield and Michael Ginsberg on Mad Men. Darcy discovers that even in a good marriage, there are secrets. Her husband, Bob, goes on a business trip. While he is away she finds a box in the garage that tells her more than she ever wanted to know about the man she married. What would you do if after 25 years of marriage you discovered the person you love isn’t who you though you married? Wow, watch the trailer. 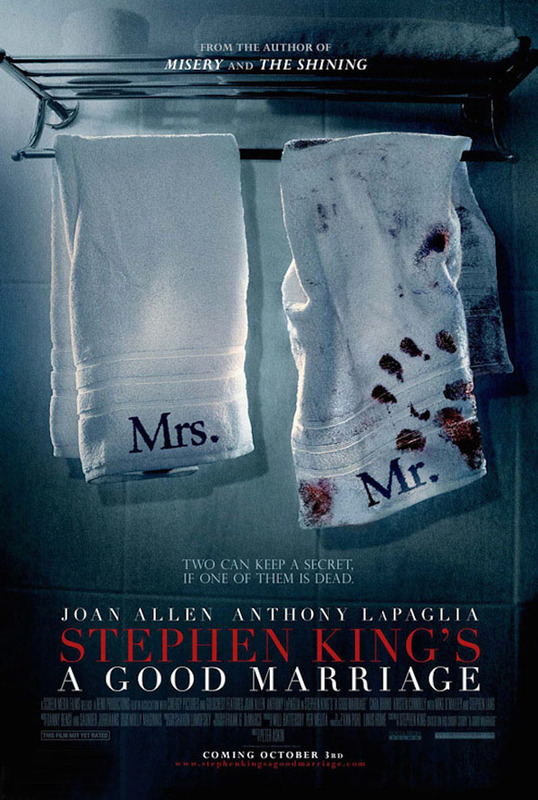 This movie is based on a short story written by Stephen King. The main character is Darcy and her husband Bob is secretly a serial killer. I’m not ruining anything by say that, this is all covered in the trailer. What would you do if you found out your husband is a serial killer? I would go to the police. NO WAFFLING. I would go to the police and put my cats in a carrier and take them with me. Yup, yup, yup. So what does Darcy do? She tries to hide that she knows. What the hell is that? A couple, Mia and John, are expecting their first child. After a horrific night when their home is invaded, one of Mia’s antique dolls becomes possessed by a ghost. The ghost in the doll is a member of the satanic cult that invaded their home and died holding the antique. Now they have to figure out how to protect their family and get rid of the vengeful spirit. If you haven’t seen the Conjuring, you might want to see that first. 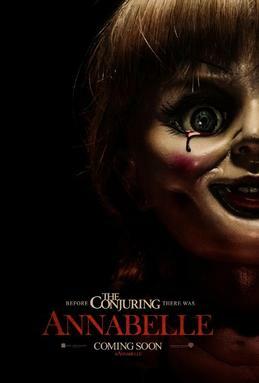 This movie is the prequel to the Conjuring. It’s a fictionalization of doll’s back story. The Annabelle case was pretty well known in the paranormal world because of the investigation by the Warrens and the museum of haunted items run by John Zaffis. The real doll looks very different though. The director is responisble for cinematography for The Mask and the TV show Sleepy Hallow. He’s directed a few movies but nothing that really needs to be mentioned ( Butterfly Effect 2). The writer, Gary Dauberman, only works on horror movies, but nothing I’ve seen. They look pretty cheesy, I may have to watch a few. I can’t say much besides it doesn’t look like Puppet Master, which is a good thing. I love Puppet Master though, don’t get me wrong. The special effects make everything look very unsettling and I am going to enjoy getting scared. Then I am going to hide my dolls.